Bruce Beresford-Redman faces questions from Mexican authorties in the April 8 death of his wife. Lawyer for Beresford-Redman complains case being handled "outside normal procedures"
Reality TV producer says "I am innocent"
Los Angeles, California (CNN) -- A Mexican judge has issued an arrest warrant for reality TV producer Bruce Beresford-Redman in the death of his wife at a Cancun resort in April, his lawyer said Monday. "We have been advised that Mexican authorities have issued a warrant for the arrest of Bruce Beresford-Redman in connection with the murder of his wife, Monica," defense lawyer Richard Hirsch said Monday. "This news, if true, is extremely disturbing since it appears that this case is being handled in a manner outside the normal procedures in Mexico." The prosecutor in Mexico had said earlier Monday he had developed a "very concrete, very specific" case that was sent to a judge Friday for consideration of charges. Quintana Roo Attorney General Francisco Alor said through a spokesman that the investigation file, with recommended charges, was sent to the judge on Friday. "It is our understanding that the issuance of an arrest warrant normally entails a detailed judicial review that takes anywhere from several weeks to several months," Hirsch said. "It appears that the way this matter is being handled constitutes a rush to judgment." 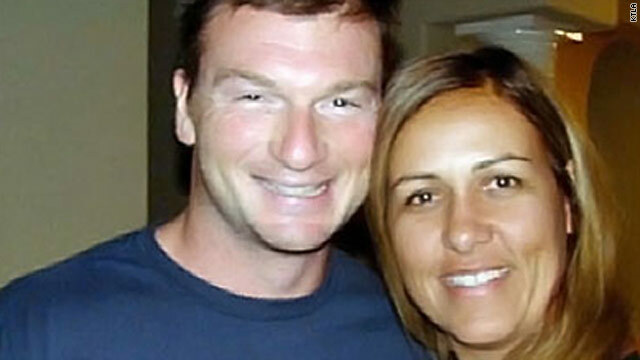 Bruce Beresford-Redman was briefly detained after Monica Beresford-Redman's body was found in a sewer at the Moon Palace Resort on April 8. His passport was taken by investigators and he was told not to leave Mexico until the probe was concluded. The former producer on TV's "Survivor" recently returned to his Los Angeles, California, home, to take care of family business and see his two young children, his lawyer said. His lawyer issued a statement from Beresford-Redman Monday after learning of the arrest warrant. "I am devastated at her loss," Beresford-Redman said in the statement, "and I am incensed at the suggestion that I could have had anything to do with her death. I am innocent. My children have had one parent taken from them by a senseless act of violence. I implore the Mexican authorities not to take their remaining parent by a miscarriage of justice and to do what is right, not just what is expedient." Hirsch said Friday that there should not be "a rush to judgment," adding that there have been other unsolved deaths and an attack at the resort. He cited the death of an elderly Scottish woman, who was found in a swamp weeks after leaving a pool for a walk, and a Canadian man who allegedly fell from a hotel balcony. "There are strange things going on -- I think that need to be pursued," he said. A spokeswoman for the resort directed CNN to a Mexican news report that quoted the prosecutor saying there was no connection between other deaths and the Beresford-Redman case. The initial investigation suggested Monica Beresford-Redman "died of strangulation, because of the bruising," Mexican regional police spokesman Adrian Cardena said. A Los Angeles judge decided Friday that the children, ages 3 and 5, could not attend a memorial service organized Sunday by Monica Beresford-Redman's sisters because a therapist said it might be emotionally harmful to them. "We respect the decision of the court, but we are very disappointed the fact that the children were denied to participate in the celebration of their mother's life," Jeane Burgos said. The sisters are fighting Beresford-Redman for custody of the children. Los Angeles County Superior Court Judge Mitchell Beckloff delayed any decision on changing the current custody arrangement. Beresford-Redman's parents were given temporary custody in April after he was told by Mexican police to remain in the country while they investigated. He filed papers for custody to be returned to him last week.